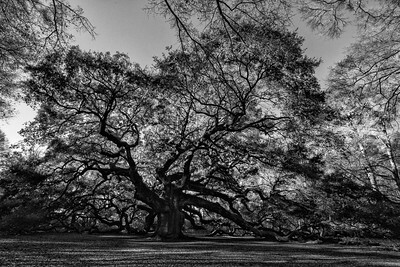 Angel Oak is a Southern live oak located in Angel Oak Park on Johns Island near Charleston, South Carolina. 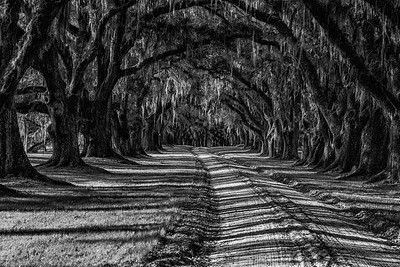 The tree is believed to be around 400 years old. 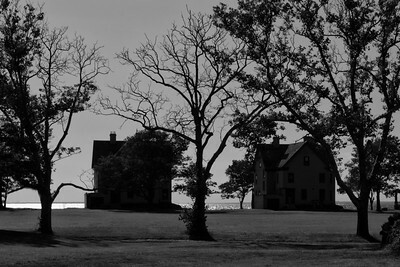 This is a view of the officers' housing along the bay side of Fort Hancock, located at the northern end of Sandy Hook. This view is from the grassy park area facing the back of the houses. 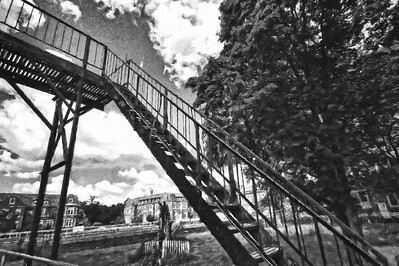 This rickety stairway goes from the playground up to an entry in one of the Pennhurst buildings. The playground is surrounded by a cement walkway that makes traveling between buildings easy.